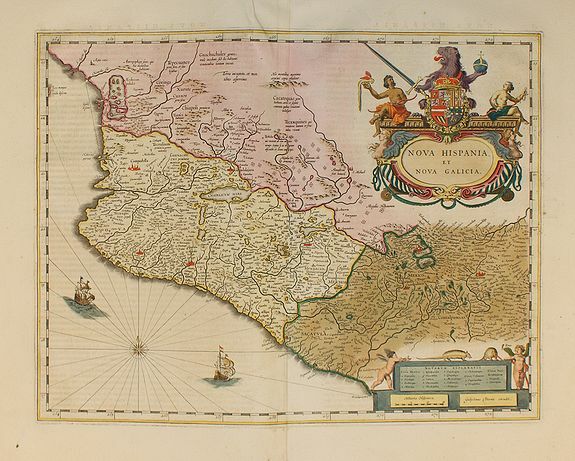 BLAEU -Nova Hispania et Nova Galicia. BLAEU, J. - Nova Hispania et Nova Galicia. Nova Hispania et Nova Galicia. - BLAEU, J. Description :From the first edition of the last part of the Latin "Atlas maior" dedicated to America, and based on Ortelius's map of 1579 which became the basis for many of the seventeenth century maps of the area.